The Cuban National Schools of Art was an ambitious project born of the Cuba Revolution and the imagination of its leader Fidel Castro. Years later they were abandoned, deemed frivolous and unnecessary by the Cuban government, so they were left in an unfinished state even though classes were already underway and continued to take place for decades to follow as the buildings decayed around them. In 1961, shortly after driving Bautista out of office, Fidel Castro and Che Guevara, while out and about in Havana, decide to stop in at the most luxurious of Golf courses in the city to participate in a round of “the game of the idle rich”. While failing to fall in love with the Sport, Castro did fall in love with the land and asked Che what he thought this land would do as inspiration if it were to be used to house schools of artists. And the National Schools of Arts project was born. Conceived as a five school compound (modern dance, plastic (visual) arts, ballet, music ,and dramatic arts), the project was commissioned to three architects (Cuban National Ricardo Porro and two foreigners, Roberto Gottardi and Vittorio Garatti) to design and build the schools. 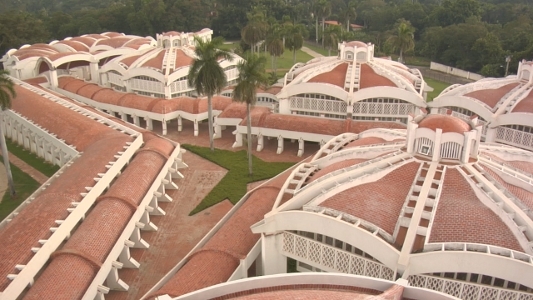 During the five years that the schools were initially under construction the priorities for Cuban architecture were changed under the Ministry for Construction as they decided that everything, like in their economic benefactor the Soviet Union, should be set up for mass consumption and prefabricated for easier construction. This of course flies directly in the face of the ingenious and one of a kind designs of the Schools of Art and eventually construction is forced to be ceased. During the following decades the schools remain open and still hold classes and influence artists and culture in Cuba in drastic ways, despite the buildings being unfinished and literally falling apart around them. In 2001 Fidel has a change of heart and invites the men back to finish what they started many years ago. But the hope these three men have always held that they may someday get that opportunity is always tempered with a sense of pessimism as they can never know whether the funding will be there before the government deems them unnecessary once more. 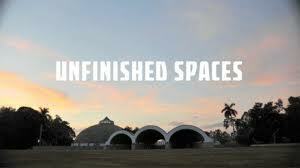 Unfinished Spaces is a fascinating look behind the curtain of Cuban politics and Art that seldom gets shown. Documents that are this critical about policies of the government rarely are allowed to come out of Cuba and this one pulls no punches in its depiction of the treatment of these schools. The three men behind the designs are fascinating characters and really drive the story along as the two men who left Cuba travel back for the first time in decades to see the decay of the buildings first hand. We even get some insight into the leader himself, Fidel Castro, as he decrees that even he himself was led astray as to the importance of the buildings, while being told by the Ministry of Construction that the buildings were an ugly disgrace, not the things of beauty he originally envisioned. The pictures and old footage of the buildings and Castro really help to flesh out the back-story, but the film relies mainly on interviews and “talking heads” to convey the story. When the three main characters are on-screen the doc works quite well, yet some of the other people interviewed/tangents taken don’t seem to have as satisfactory a conclusion to the points being made. That said, there is more than enough historical importance on-screen here to give this film a definite recommend. If you have any interest in Cuban history/culture you should absolutely seek it out. 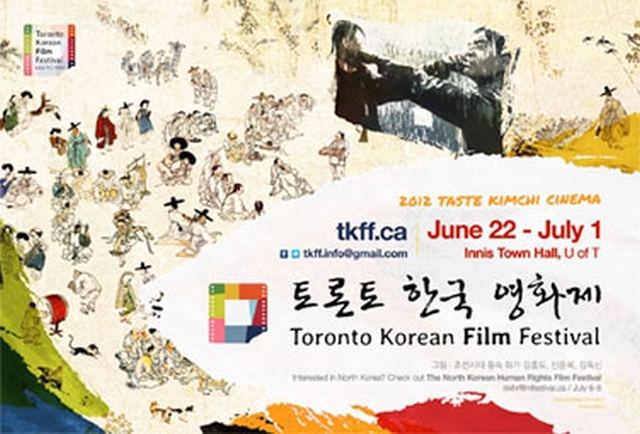 Unfinished Spaces is currently playing on a limited engagement at the Hot Docs Bloor Cinema. We start the story with a voice-over narration from the character simply known as O (Lively) as she sets into place the specifics of the script and establishes that she will be our narrator throughout the film. She introduces us to her two men, Chon (Kitsch) and Ben (Johnson), I say her two men as she is with the both of them in every sense of the word, a pair of intelligent independent cannabis growers who have developed a highly successful strain of Marijuana. The strain is developed from seeds brought back from Afghanistan by Chon during his last tour in the Army. Chon is quickly established as the hard-edged muscle of the group, not afraid of dealing with any form of violence, while Ben is the softer more trusting side of the equation willing to trust that his buyers will keep their end of the equation. Enter Elena (Hayak), kingpin of the biggest Mexican Cartel who is desperate for Ben and Chon’s business. And her main general/right hand man Lado (Del Toro), a particularly nasty hitman who takes care of most of the cartel’s dirtier affairs. After being turned down by Ben and Chon for a partnership with the cartel, Elena targets O as the boy’s weak link and abducts her in broad daylight to coerce the boys into cooperating. The boys had planned to go dark and get away from the situation with the help of their money launderer Speed (Hirsch), but after the abduction they squeeze as much info as they can about Elena and the cartel out of DEA agent and business partner Dennis (Travolota). The boys then head out on a bloody trail after the cartel to get their girl back. I must say that I really wanted to like Savages. I had hopes going into this film for a return to form out of Stone as it was the type of story he knows how to tell very well. And for the first part of the film I was there with it, through preposterous parts and a terrible voice-over narration from Lively, I was willing to go with it to see where it was going. The pacing at least worked very well for me, as at two hours plus it could have easily started to drag. And of course with naming one of the main characters O you know the Shakespeare references/homages are soon to follow. Then the third act started and it all falls apart – boy does it ever. The performances from Travolta and Del Toro both work well, but they have done these same roles before, but in better films. Hayak’s character, or should I say caricature, is little more than a stereotypical cartel leader with breasts, we saw this done better in another Del Toro movie, Traffic. Our young leads manage to just ‘be there’ for most of the film, not exuding much emotional impact, and Lively manages to underperform them both. But even with these issues I was willing to go with it, until the third act which finishes with the worst ending of a film this year. Yes the ending (or endings) is that terrible. In fact, the more you think about it after the movie has finished the more you hate it, as attested by the flabbergasted group of us after the movie discussing it. 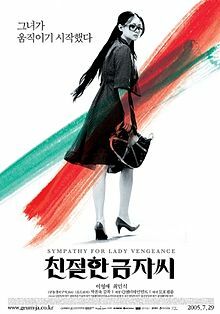 As much as I wanted to recommend this movie I can’t in good faith recommend it for anyone, the ending still disturbs and underwhelms me too much. 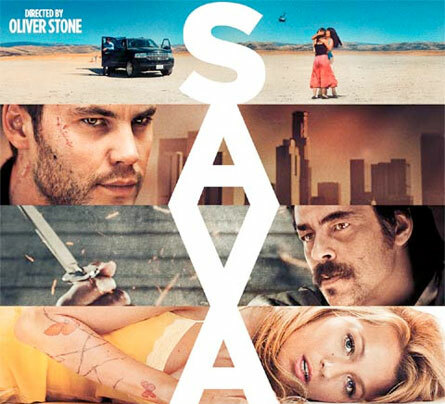 Savages is a definite non-recommend. You have been warned. The Amazing Spider-Man, the newest release from Sony Pictures, is a film born of Hollywood legalities. When Spider-Man 4, with Director Sam Raimi and original stars Tobey Maguire and Kirsten Dunst, was shut down due to the studio and Raimi not agreeing on the direction of the script and Maguire’s refusal to participate without Raimi, Sony decided to reboot the series as opposed to recasting a sequel with a new Peter Parker. If Sony had opted not to reboot the series then, as part of their original deal with Marvel studios, the film rights for Spider-man would have reverted back to Marvel and Sony would lose the character to Disney, the studio that owns Marvel. Complicated I know, but is the final product worth all this effort? The Amazing Spider-Man starts off by retelling the origins of Peter Parker’s emergence as Spider-Man, though with a few twists from the first time around. We begin with a young Peter as he discovers his father’s home office has been broken into and ransacked. Richard and Mary Parker (Scott and Davidtz) rush Peter over to his Uncle Ben and Aunt May’s (Sheen and Field) where they leave him for safekeeping as they flee for their safety. Many years later we catch up with the now teenaged Peter (Garfield) who still lives with his Aunt and Uncle after his parents have perished in a plane accident. Peter is an awkward teenager who does not fit in and is a regular target of class bully Flash (Zylka), which causes him to retreat behind the lens of his camera. The object of his affection this time around is the brilliant and stunningly beautiful Gwen Stacy (Stone), who besides being a fellow student, also works as an intern at Ozcorp for Dr. Curt Connors (Ifans). Connors as it turns out is Richard Parker’s former lab partner and helped work on the same research that caused the break-in at the Parker’s years before. Upon visiting Ozcorp to meet Connors we get the spider bite sequence that transforms Peter into Spider-man and a relatively funny subway sequence because of it. Peter starts his life as crime fighter and draws the ire of the Chief of Police (Leary) who is coincidentally Gwen’s father. Meanwhile Peter’s Uncle Ben dies because of a robbery gone wrong and Dr. Connors transforms into the Lizard because of the research which forces Spider-Man into action. The Amazing Spider-Man starts off in familiar territory, very familiar actually, retelling the same origin story that was told just a decade ago in the original Spider-Man. Perhaps this is why the first hour of the story drags a bit. The story really picks up and gains a life of its own once the transformation occurs and we see Spider-Man in his full crime fighting glory. Garfield is a good fit for Parker as Director Webb has clearly been influenced by the Ultimate Spider-Man line of comics where Parker is still a struggling high school student and has no connection to the Daily Bugle or its cantankerous editor J. Jonah Jameson as of yet. Emma Stone is a standout as Gwen Stacy, by far the best female love interest in any Spider-Man film, as she practically glows on screen and you are immediately smitten. The rest of the cast does well in turn, Leary as Captain Stacy and Sheen as Uncle Ben standout in particular. The special effects and stunt work are the real winning combination here as Spider-Man has never looked more convincing on screen. Using a combination of acrobatics and free-running techniques as well as CGI, this Spider-Man feels more grounded in reality, which makes sense as Batman Begins was another influence on Director Webb’s decision making. Speaking of Webb, he manages to put to rest all doubts that he can direct action sequences as those set pieces are some of the highlights of the film. Overall a Spider-Man film that may have surpassed its predecessors, The Amazing Spider-Man is better than its auspicious beginnings gave it any right to be, but when you hire talented people it usually pays off. The Amazing Spider-Man is a fun time and a solid recommend.